Orleanian Bruce Spizer, arguably the country’s leading expert on The Beatles Capitol Records releases, was talking about preparedness. “There’s always speculation about what we call ‘desert-island discs,’ what you would bring to a desert island,” he said. If he has to check out of town again this hurricane season, he’ll have something else with him: “The Beatles Capitol Albums Vol. 2.” And his signature is all over it. Spizer wrote the text for the colorful, nostalgic booklet that accompanies the four-CD package of “The Early Beatles,” “Beatles VI,” “Help! Original Motion Picture Soundtrack” and “Rubber Soul,” the original 1965 Capitol albums in both stereo and mono, many songs in stereo for the first time. It was released nationwide Tuesday. “I consider it a tremendous honor to be asked to write an essay in an official Beatles product,” said Spizer, who has written six comprehensive books on The Beatles dating to 1966 [Note: this is a typo. Bruce’s first book was published in 1998], including a two-volume set titled “The Beatles Story on Capitol Records.” That clearly identified him as someone who needed to be part of the Vol. 2 project. A 50-year-old lawyer, Spizer said getting hooked on the Beatles was pretty routine. “With me it was just hearing ‘I Want to Hold Your Hand’ on the Newman School bus in early January 1964 and just the freshness and excitement of the music. I’ve been a big fan ever since. “I was thinking it would be a one-shot book, sort of a footnote in Beatles history,” he said. But after the book appeared, people started asking, well, when is the Capitol book coming out? So he started working on the Capitol book. But clearly the Beatles work is his world. 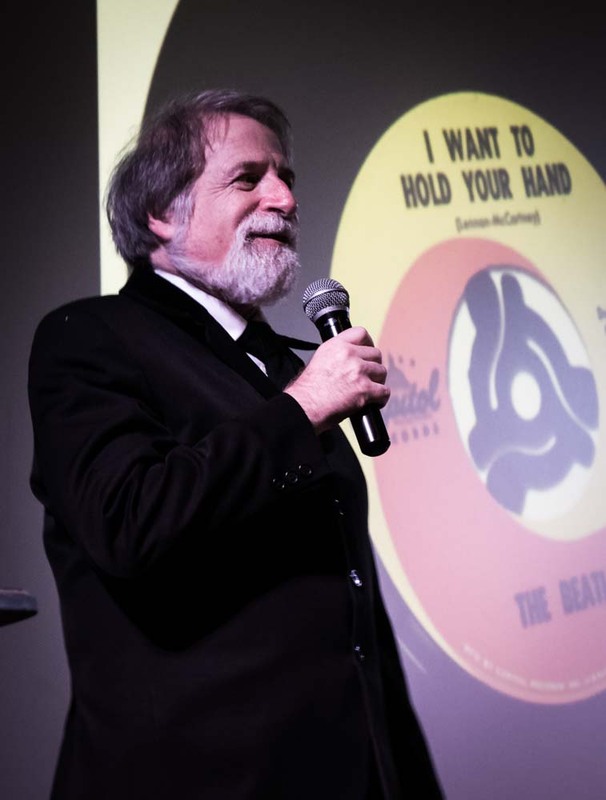 He makes presentations at virtually every major Beatles convention, having just returned from Beatlefest in New Jersey. Spizer felt that Capitol did a great job marketing the Beatles to America. But the marketing strategies were different in the United Kingdom and the United States, prompting Capitol to release The Beatles records in different configurations — a move that forever changed the buying habits of listeners. The four albums also clearly demonstrate the group’s growth, how much they progressed in such a short period of time. But even though the U.S. and U.K. versions are considerably different — the U.S. version has a cohesive folk rock sound to it and the British version a totally different feel — you won’t find Spizer taking sides. “I frequently get asked, ‘Which album is better — the British ‘Rubber Soul’ or the American ‘Rubber Soul?’ My feeling is that it’s not a fair comparison because it’s like comparing a great red wine to a great white wine,” he said.